Left to right: Neil Murray (bass), Tony Martin (vocals), Tony Iommi (guitar) & Cozy Powell (drums). 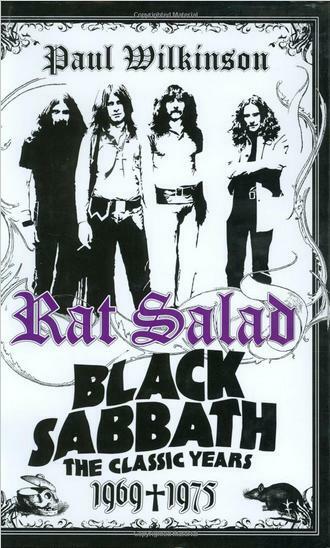 One of the more stable line-ups from Tony Martin’s time in Black Sabbath. This line-up (with Geoff Nichols on keyboards) is featured on 1990’s ‘Tyr’ and 1995’s ‘Forbidden’. During the very lean years of Black Sabbath (the late ’80s up through the late ’90s), there was one singer that Tony Iommi could rely on most when reunions, or talk of reunions, with Ozzy Osbourne or Ronnie James Dio would inevitably fall through. That man’s name is Tony Martin. There’s a surprising number of official (and unofficial) lead singers for Black Sabbath. Obviously, you can put Ozzy and Dio at the top, but I would rank Tony Martin at #3. While you can say Tony Martin lacked the star power and onstage charisma of Ozzy Osbourne and Ronnie James Dio, you cannot deny his abilities as a singer. In a band that can boast having rock vocal legends Ronnie James Dio, Ian Gillan, and Glenn Hughes as singers, Tony Martin can hold his own in the vocal department. He is easily one of my favorite vocalists of all time and he still sounds great to this day. 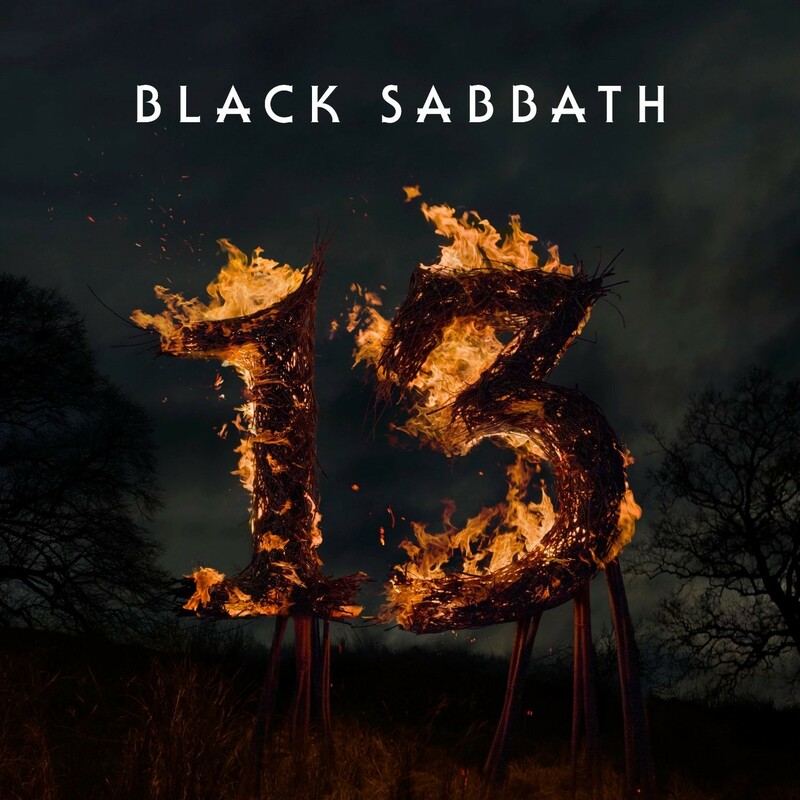 Black Sabbath has been the subject of countless compilations and box sets and those sets will either focus on the band’s years with Ozzy Osbourne or Ronnie Jame Dio. For a while, Black Sabbath albums were getting deluxe edition reissues. So far, all of the Tony Martin releases, only The Eternal Idol has received the deluxe treatment. Tony Iommi stated years ago he intends to get all of the Martin albums reissued, but who knows how much of a priority that is. Iommi said in the past that he would like to remix Forbidden, while Martin has stated in recent years he would like to re-record the entire album and add new lyrics. It would be very cool to see that actually happen (or to see any project from the two Tonys happen). But, with not much from the Tony Martin era happening for the moment, I’ve decided to put together my own “best of” compilation called Black Sabbath: The Tony Martin Years. If you’ve never given the Tony Martin albums a chance, I can’t recommend them enough. I first got heavy into this era about 10 years ago, and I still listen to all of these albums to this day. The Keep: Michael Norton, Peter Criss, Mark St. John and… um, David Donato..? Michael McDonald? Formed sometime in 1989, the Keep is a very interesting project that never got far off the ground beyond a series of demos and one live performance in May of ’90 at a Guitar Center store in California. The group is notable for including Peter Criss (original KISS drummer), Mark St. John (short-lived KISS guitarist), and David Donato (short-lived Black Sabbath vocalist…. so short-lived he never made it past the demo stage with the band). The bassist was Michael Norton, the brother of Mark St. John. The trio of St. John/Donato/Norton previously played together in the band White Tiger and had released an album in 1986. The odd thing is that I’ve seen conflicting reports on who sang on these demos and was the band’s singer in general. Some websites list a Michael McDonald as the original vocalist for this group, while other sites say that David Donato used the alias of “Michael McDonald”. There is no doubt that David Donato was in the band, but it’s unclear to me who Michael McDonald was. In my research for this album, I get the impression that the Keep was more or less a partnership between Peter Criss & Mark St. John, and the demos were initially shopped simply as ‘Peter Criss’. I’m not sure at which point the band decided to rename themselves as The Keep. Reactions to the Peter Criss/Keep demos were not positive and they were not able to score a record deal. This lead to Mark St. John leaving the band in frustration in early 1991 while his brother stayed on with Peter Criss and they formed an early version of the band ‘Criss’ with Phil Naro coming in on vocals. So now that that little history lesson is out of the way, and taking into account that these are only demos, how does the music of the Keep sound? Well, it was definitely in keeping with the times with St. John’s flashy guitar playing (which drew the ire of Gene Simmons & Paul Stanley when he was briefly in KISS and helped in his exit from the band). “Been A Long Time” is the flashiest track on this album and is unmistakably Mark St. John and gives off that Animalize vibe. “Between The Lines” is my favorite track of the bunch though. Despite the hair metal tendencies, the old school influences of Peter Criss couldn’t help but slip in with a cover of Lee Michaels’ 1971 hit “Do You Know What I Mean”. Sure, it’s a a slick ’80s metal version of the song, but I think it’s pretty easy to guess who wanted to record this breezy classic rock & pop song. I’m always down for some glammed up ’80s heavy metal, so it’s a shame this quasi-super group never took off. You’d think someone would have wanted to sign the original KISS drummer along with a KISS guitarist and someone who could lay claim to being the lead singer for Black Sabbath (even if it was only for about six months in 1984/1985 and they never released any material)! Oh well, The Keep remains an interesting footnote in history for fans of KISS. I’m still talking about music that I love to listen to in the build towards Halloween to keep me in the spirit! Check out Volume 1 and Volume 2. Much like with Alice Cooper, it can’t be the Halloween season without listening to some Black Sabbath. Most people think of Ozzy Osbourne when it comes to Black Sabbath, but I don’t. In fact, that’s my least favorite era of Black Sabbath. During Ronnie James Dio’s tenure the band started to go in a more overt direction when it came to embracing the “evil” look and lyrics of heavy metal. Yet, it is Born Again (with Ian Gillan on vocals) that is the ugliest, heaviest, angriest, and most evil sounding record the band ever recorded. Lyrically, Headless Cross is filled with tons of Halloween-worthy lyrics with songs about bats, devils, evil spirits, full moons, etc. Of course, horror movie soundtracks are obviously an easy go-to for creepy and spooky music! If you put on soundtracks from Suspiria, Phantasm, and the Romero zombie movies, prepare to truly freak yourself out. I won’t get into all of the stats and figures but it’s been a long time since these guys have played on an album together as Black Sabbath. 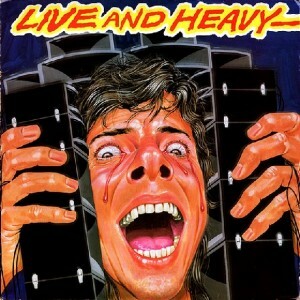 It’s just a shame they couldn’t work out something with Bill Ward in order to do a TRUE reunion album/tour. “End of the Beginning” – This one starts off like something from The Devil You Know with a heavy, slow and doomy vibe. It picks up later in the song but at 8 minutes, it’s not how I would’ve chosen to kick off the album. “God Is Dead?” – I can’t hear some of the guitar parts in this song without thinking of Weezer’s “Undone – The Sweater Song”. I can’t be the only one that hears that, can I? We’re now only two tracks into the album but sitting 17 minutes! Again, I question the track listing. Decent song but like most of the world, my socks weren’t knocked off when I heard this. “Loner” – Finally the speed is picking up a bit and look — this song is only 5 minutes long! We even get an “Alright now!” from Ozzy. “Zeitgeist” – Essentially this is “Planet Caravan, Part II”. If you had told me this was either a Pink Floyd song or recorded by Sabbath in the mid-70s, I’d believe you. It’s a good song but I’m a bit disappointed they basically tried to recreate something they’d previously written. Seems a bit lazy to me. But hey, they aren’t the first band to ever do that. “Age of Reason” – Love the drums here (sorry, Bill!). One of the first songs from this album that grabbed me immediately. “Live Forever” – Another much-need slightly more up-tempo number. “Damaged Soul” – Ugh. Another 8 minute track. Fuzzy 1970s stoner vibe. Another track that really sounds like something the band recorded “back in the day”. “Dear Father” – Probably feeling this song the least of all on the album. “Methademic” – Shame this one was relegated to being on the deluxe edition! “Peace of Mind” – I know ’70s Sabbath when I hear it. This is it. “Pariah” – Another good rocker. Has a cool melodic opening. “Naïveté in Black” – Exclusive to the Best Buy edition of the deluxe album. The fastest song out of both discs. Why didn’t they write more songs like these? Kinda reminds me of modern day Metallica. Disc 2 is very strong. The songs are a bit faster and much shorter. Disc 1 has its moments but it’s just too slow and time-consuming for its own good. Surely we could’ve swapped out “God Is Dead?”, “Damaged Soul”, and/or “Dear Father” for any of these four tracks! It’s a strange choice for them to include so many slow and plodding 7-9 minute epics on the album when they had some very good 4-5 minute rockers being released as bonus content. Here is a short review for a book I had considered buying on and off for years. While I have read a number of Black Sabbath books, I held off on this for awhile because it focuses on the Ozzy era up through 1975 and it’s well-known that I prefer the likes of Ronnie James Dio & Tony Martin over Ozzy Osbourne’s tenure. Still, when I found out it was available from the local library, I checked it out and gave it a shot. To be honest, I got about 80 pages into this 240 page book before I decided to walk away from it. I am a huge Sabbath fan but you not only need to be a major Ozzy-era fan but also a musician to really get the most out of this book. All the talk about C sharp, E minor or whatever is absolutely boring to me. I am not a musician, so that detailed information means nothing to my brain. I read a review that stated this book is like a text book, in some ways, I agree. In addition to that, the author tries to interject his own personal history into the book. I found this to be quite odd and it really disrupts the flow of the book whenever he delves into his personal life. If he wants to talk about how Sabbath affected his teenage years, fine, but I don’t care to learn about his school days, his best friends or first kiss. It’s really out of place and the author comes off as a self-important snob but then I guess most of us music critics are exactly that. Bottom line: if you love the early years of Black Sabbath AND are a musician, you’ll probably like the book a lot. For those of us that like to listen but can’t play a note, there are much better books on Black Sabbath out there. Mob Rules is an album I’ve spoken about before. That review was very brief, but really, what can you say? Looking back, it’s not my favorite of the Dio era (that nod would go to Heaven and Hell) but it’s still a classic that’s almost as good as the first album they did together. 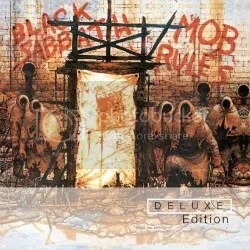 In addition to the original album of Mob Rules, Disc 1 features two bonus tracks: the original version of “The Mob Rules” (which was recorded for the Heavy Metal movie) and a live version of Heaven and Hell‘s “Die Young”. The real pull for me getting this Deluxe Edition was to get the second disc which features performances taken from Dec 31, 1981 through January 2, 1982 at London’s Hammersmith Odeon. This entire disc was originally released as Live at Hammersmith Oden by Rhino Records with an extremely limited print run of 5,000 copies back in 2007. As you can imagine, copies of that album are expensive and hard to come by so it’s great to now have the entire album included as a bonus disc. If you don’t already own Mob Rules, or even if you do, this is still worth the pick up just for Disc 2. The band is in top form but then again, the Dio line-up was never not in top form! There are four live albums to choose from this particular Sabbath line-up (two as Black Sabbath, two as Heaven & Hell) and all of them are classics but if you want to hear this group in their formative years with a recording that takes places even before Live Evil, here’s your chance! Great studio album, great live disc = great deluxe edition!